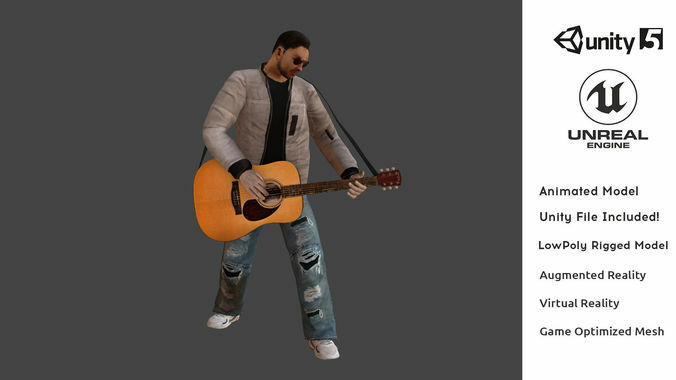 T-Vice Guitar Player Animated Low Poly Realistic 3D Model ready for Virtual Reality (VR), Augmented Reality (AR), games and other real-time apps. If you have any question, feel free to contact us! Have a great day!